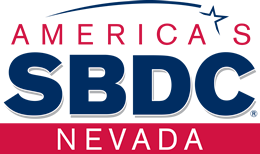 The Nevada Small Business Development Center’s (NSBDC) 13 locations assist small business enterprises throughout the state by helping them start their business, plan their growth and develop and maintain professional management skills. Through one-on-one consulting, education, research, training, assistance in understanding business financing and special programs, we offer a treasure chest of resources for the entrepreneur. The center’s programs are available to current and prospective business owners throughout the state. For more information or to let us know how we can help you, please contact the NSBDC Office nearest you.